CAPE CANAVERAL — Completing an October to remember, the third Atlas 5 rocket launch in just 29 days thundered into space today, this time to replace an aging satellite in the Global Positioning System. Launching a commercial telecommunications satellite for Mexico on Oct. 2, two formation-flying intelligence spacecraft for National Reconnaissance Office on Oct. 8 and now a navigation bird for Air Force, it has been the busiest month ever for the Atlas 5 program with three launches from two coasts. “We are hitting our stride, I believe. 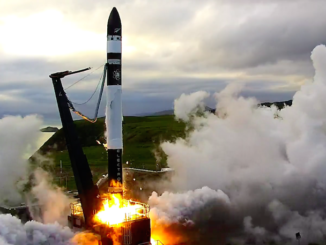 We’ve done a lot of work on the last several years to streamline our launch processing activities to have this type of capability,” said Ron Fortson, United Launch Alliance’s mission management director. The month’s bookend began at 12:13 p.m. EDT (1613 GMT) this afternoon from Cape Canaveral’s Complex 41 pad as the United Launch Alliance rocket, designated AV-060, lifted off with the GPS 2F-11 satellite. It was the 26th consecutive Atlas 5 to launch on the first attempt after being fueled, a remarkable string stretching back to 2012. The 737,000-pound, 189-foot-tall rocket powered skyward on 860,000 pounds of thrust of its kerosene-fueled main engine, gently executing a roll maneuver off the pad to head northeast and intercept the GPS fleet. 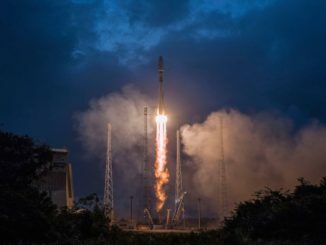 An initial firing by the Centaur upper stage achieved a highly elliptical transfer orbit, then a second firing three hours later circularized the orbit to release the $245 million satellite. It was the 130th successful launch in a row for the Atlas program spanning more than two decades and the 59th for an Atlas 5. GPS plays an integral part in the lives of billions of users around the world, a tangible connection between the common man and the practical benefits of space. 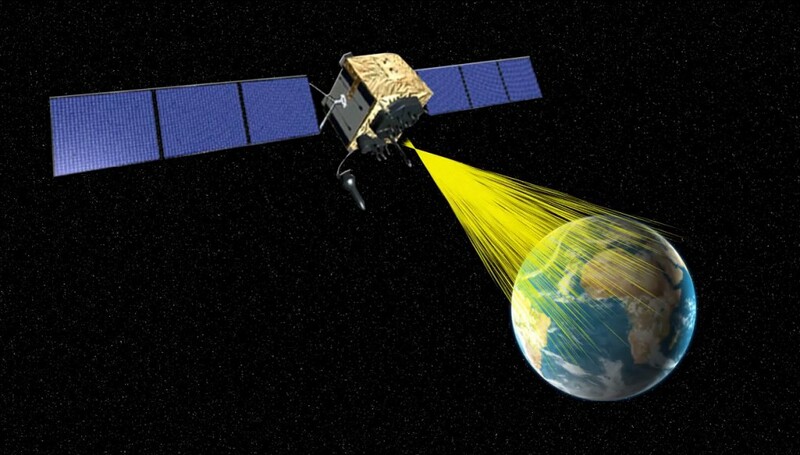 “The GPS constellation is the most robust and capable system in the history of space,” said Col. Steve Whitney, director of the Global Positioning Systems Directorate. Flying in circular orbits 11,000 nautical mile high and tilted 55 degrees to the equator, there are 31 GPS satellites that comprise the navigation network. 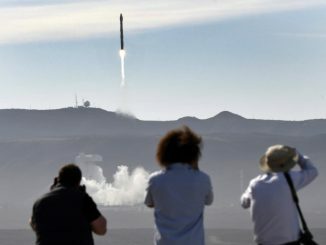 It took the Atlas rocket 3 hours and 23 minutes to get there with the newest addition, which should be checked out and declared operational in about a month. GPS 2F-11 will take the place of GPS 2R-10 satellite, launched in 2003, in Plane E, Slot 2 of the constellation. The Lockheed Martin-built satellite has outlived its 7.5-year design life and will shift to an alternate role within the constellation for its remaining years. There is just one launch remaining for the current Block 2F generation of GPS satellites, made by Boeing, that will form the backbone of the network for the next 15 years. Launches started in 2010 and will conclude next Feb. 3 when an Atlas 5 deploys GPS 2F-12. Block 2F has brought improved accuracy, additional signals, better anti-jamming and longer design lives for the satellites. The GPS 3 series, made by Lockheed Martin, is slated to begin flying in 2017. Today’s launch was the 71st for a GPS satellite since 1978, the 16th to use an Atlas rocket and the fifth Block 2F on Atlas 5. For United Launch Alliance, it was the company’s 102nd flight overall since 2006 and 16th carrying a GPS spacecraft. ULA’s 12th and final mission of 2015 is targeted for Dec. 3 when an Atlas 5 rocket sends 7,700 pounds of cargo, supplies and experiments to the International Space Station in the commercial Orbital ATK Cygnus freighter. The rocket firm has at least 17 launches on the calendar for next year.